This historic 1914 brick building, designed by architect Samuel N. Cowen, originally was known as The Biograph Theater, and was one of at least four movie theaters which opened in Chicago during 1910-1914. It had a large stage and auditorium, complete with a balcony in the style of the time, with lovely decorum inside. 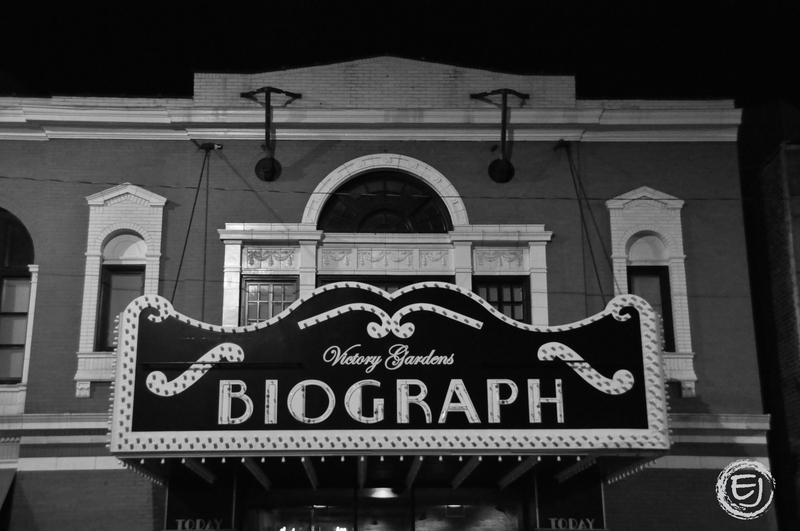 The Biograph Theater continued on as a grand movie theater through the Depression, two world wars, and the 50’s and 60’s. This little theater in downtown Chicago has been made infamous by the death of the infamous public enemy, John Dillinger. John Dillinger was coming out of the theater on the night of July 22, 1934 with two of his girlfriends when he was shot in the back and killed by FBI agents. It was here, in the back alley just behind the theater, that Dillinger was betrayed by the infamous woman in red. Since that time, it is said that Dillinger’s ghost linger’s in the theater and is sometimes seen in the alley behind the theater. Although Dillinger’s ghost can be quiet for long periods of time, periodic renovations and remodelings of the theater have stirred up the his ghost and lead to reported sitings of his ghost both in the theater and outside the theater. Other manifestations in the theater include cold spots located both inside the theater and in the alley behind the theater and sitings of other ghosts who may have frequented the theater in life. There is some dispute regarding Dillinger’s death. Upon examination of Dillinger’s body following his death, several scars seemed to be missing and new scars were present in different locations. Because of this some believe that Dillinger didn’t die outside the Biograph Theater. They believe Jimmie Lawrence a small time hood and Dillinger look alike was set up to take his place by the infamous lady in red. If this were the case, it would be Lawrence’s ghost that haunts the the famous Biograph Theater. Information source. 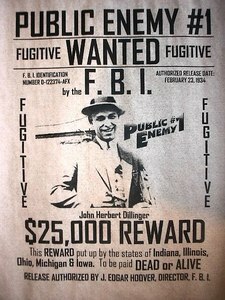 For more information on John Dillinger’s life and his story, click here. This entry was posted in Architecture, Chicago, Historic Landmarks, Life and tagged Biograph Theater, Haunted Places in Chicago. Bookmark the permalink.